1. 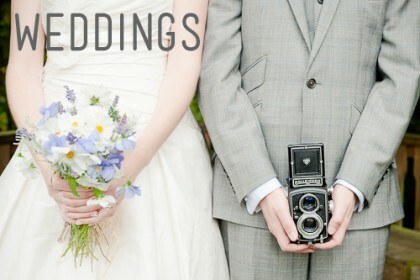 Are you a professional wedding photographer? Absolutely! 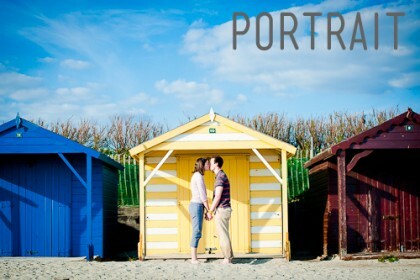 I am a fully qualified professional photographer – and weddings are my speciality genre. Whether here in Thailand and Asia, or back home in the UK, the experience of emotion at a wedding is a dream come true for the photographer able to capture the moment. I love to take photographs artistically, I am passionate about people and I love to travel, so I consider myself very lucky in my chosen career. Wedding photography is more than my job, it’s my passion. 2. What is your style of photography? Observant, Narrative, Calm, Natural & Documentary. I like to observe and capture the moment naturally as it occurs, and as the flow of your wedding unfolds, I will craft a storytelling journey of your day in photographs. I like to document the treasured moments and emotions of the wedding party in a subtle and calm manner, and to value the occasion. When everyone feels comfortable and relaxed, it’s easy to get those all important shots without being intrusive. Whether working in bright sunlight, shade or low candlelight, I know how to deal with the light conditions at hand, even in the swiftly-changing tropics. This is where my technical skills come in, and are another part of my passion for photography. 3. What areas do you cover? In Thailand I cover the Samui Archipelago of islands – Koh Samui, Koh Phangan, Koh Tao – as well as the Andaman Sea islands – Phuket, Koh Phi Phi, Koh Lanta – all these islands are popular wedding destinations in Thailand. But whether you are getting married in Pattaya, Chiang Mai or Singapore, I am happy to travel to your destination. I’ll even get on a plane to photograph weddings! I do charge for travel expenses. 4. Do you provide bespoke quotes? Understanding that every wedding is unique, I can also provide a completely tailored quote, to suit your own taste and budget. Please don’t hesitate to get in touch with Koh Photography if you would like to discuss this option. 5. What equipment do you use? I shoot in digital, using professional Nikon camera equipment. At present I shoot with a Nikon D4s, D810 & D700 (as a back-up). Images are taken in high-quality RAW colour, enabling you to have poster size prints of your wedding day without losing any of the quality. It’s easy for me to turn your favourite images into black and white or antique versions for maximum effect. I always carry a second Nikon camera for back-up, which also allows me to take different image styles in an instant! 6. Are the images edited? Yes. All of your wedding photographs are edited with care and attention to bring out the best in your images, prior to you receiving them. 7. Do we have to pay extra to keep all the images? I never ask couples to choose a limited number of photos – they’re photos of your day and I believe they should be yours to keep. Unlike many wedding photographers I provide all of the images, high resolution, in digital format on DVD / USB memory drive. 8. How do I get my wedding photographs and video from you ? Your wedding photographs and video are delivered to you online via our secure server. All photography packages include your high-resolution photographs (un-watermarked) and Video includes HD (high definition) video footage. 9. Are my guests able to buy images online? Yes. They can view images in your password protected online gallery, and purchase them directly at a competitive guest rate. This enables your guests to choose and print their own favourite photos from your complete portfolio of images. 1o. Do you provide albums? Yes, I provide a range of album options catering to all budgets, which I am always happy to discuss with you. 11. A friend with a good camera says he can do it far more cheaply. Can you match his price? As I hope you will have seen by now, I am a true professional with a passion for wedding photography at heart, and I will ensure your day is documented in as special and comprehensive a way as possible. Unfortunately, when we employ our friends as photographers this is not always the case, especially after a glass or two of champagne! I believe your wedding portfolio is an exceptionally valuable, one of a kind family memoir – which will become one of your most valued possessions. When you choose Koh Photography for your wedding photography in Thailand, you can be guaranteed of a professional portfolio which will stand the test of time and delight generations to come. 12. Do you mind if other people take shots during our wedding? Your guests are very welcome to capture their own shots too! I won’t claim exclusivity of shots because I’m confident that I will always be shooting them differently. While your family guest has everyone’s attention, I’ll be capturing the scene from a different and far more natural angle. 13. We went to a wedding recently and their photographer took over the day. Will you? From the photographs displayed on this site I hope you’ll see, that’s not my style. Most importantly it’s your day, not mine. We can agree to your family and group portraits at a pre-wedding meet, and I’ll come with a plan and make sure I work to it. 14. Is there a minimum booking time? Usually, I require a minimum booking of 2.5hrs, but I am always happy to consider your requirements also. 15. Do you need a deposit? Yes, we do request a non-refundable deposit so that we can confirm our Koh Photography services for your wedding date, and prioritise you in our diary for your special day. 16. What happens if you are taken ill or sick ? In in the unlikly event of this happening, I do have a network of quality photographers to provide back-up countrywide, adding another level of insurance to boking your wedding photography services in Thailand with Koh Photography. If you have any additional questions please don’t hesitate to get in touch.